South Coast Fulfilment are an independent warehousing and fulfilment company based on the Sussex coast. In addition to warehousing, they also offer a specialist fulfilment service. As well as pick and pack services for consumer orders, they are experienced in supplying into a number of large UK retail chains. What sets South Coast Fulfilment apart is the personal nature of their service and the fact that they will tailor their services to suit the particular requirements of each client. 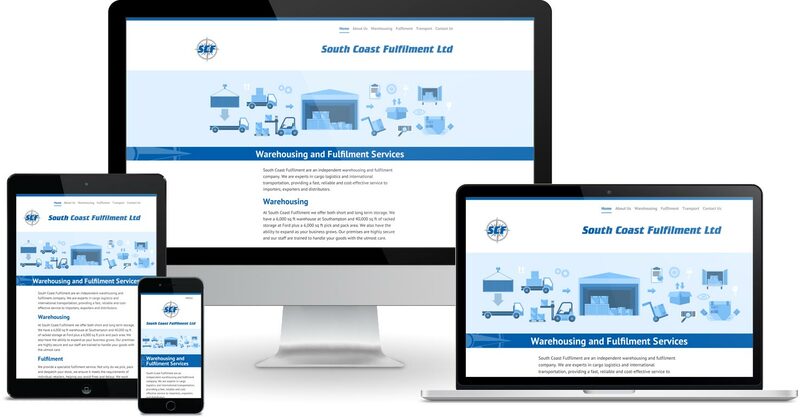 With this in mind, we paired well-written copy with fun graphics and a clean, clear design to create a website that is easy to use and communicates South Coast Fulfilment’s experience and approach in a friendly and professional manner. The site is built using Craft and features a responsive design.